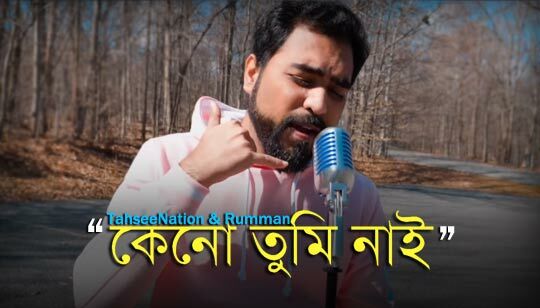 Keno Tumi Nai Song Is Sung by TahseeNation And Rumman Bengali Song. Music Produced by Apeiruss. This Bengali Song Lyrics written by Tahsin Rakib. Music Mix and Master by Sheikh Sami Mahmud. Tahsin N Rakib AKA TahseeNation is an Independent Producer, Director, Actor, Musician and youtuber. ভুলে গেলে তুমি কি করে? কেনো তুমি নাই আই আই আই..
তোমায় আমি চাই আই আই আই..
তোমার মনে পড়ে কি, সেদিন গুলি? Bhule gele tumi ki kore? Tumi bole chile pashe robe aajibon.